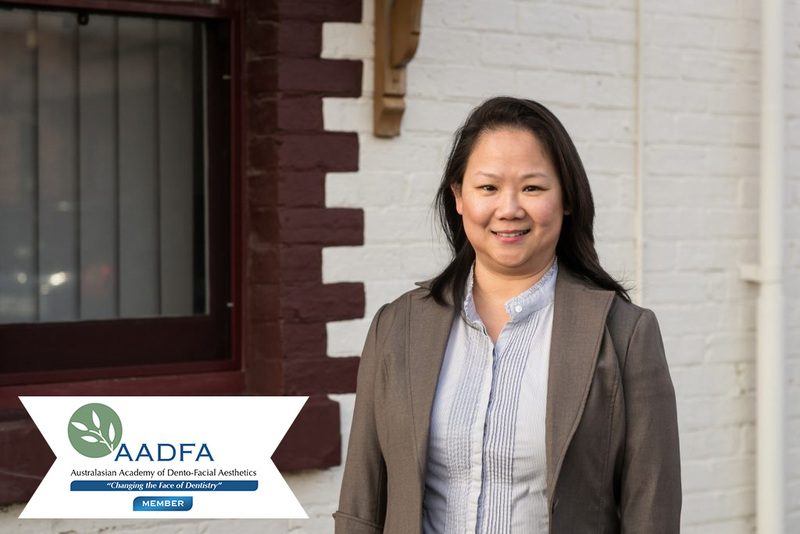 Brenda is a member of The Australasian Academy of Dento-Facial Aesthetics (AADFA). She has dedicated much of her time to study and mastering the concept of ‘Complete Dento-Facial Rejuvenation” and understands the many factors involved in facial aging. This means that as your treating dentist, Brenda looks beyond just the teeth and gums, appreciating that the appearance of the whole face, including the health of the facial skin and lip areas, support and provide the ‘frame’ for a beautiful smile. Besides working to enhance the health appearance of the lips and facial skin, Brenda also uses facial injectable techniques to address some conditions associated with excessive muscle activity. After all, we smile with our FACE, not just our teeth! Every patient that I meet brings along with them their own personality, family background, life experiences and varying health and social factors that will impact on how they want to be treated,” she says. Tailor-made solutions for each individual and seeing the end result is very fulfilling and a reward in itself. Brenda firmly believes it is a privilege to be someone’s trusted dental professional. She lives up to that because she knows it all starts with care and understanding of each patient’s individual current situation, their aspirations and expectations for their future. Being able to care for three (sometimes four) generations from the same family in Geelong is Brenda’s most rewarding achievement in her career. She had dreamed of being a dentist since her primary school days and dedicated herself to fulfil this calling ever since. Brenda has a heart of gold – and patients like you love her for it. Wanting to look after people stems way back to when she was a child and now it still shines through everything she does. 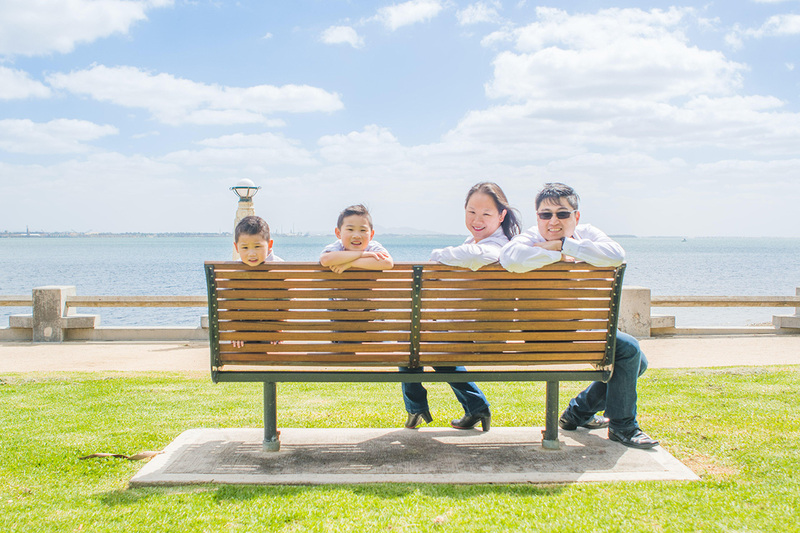 Born in Malaysia, of Chinese heritage, and raised in the inner suburbs of Melbourne, Brenda has been a mainstay at the clinic since 2003 and has grown to love Geelong and the people around her. “I had wonderful mentors at the Myers Street Dental Clinic, who demonstrated that it was possible to be ethical, honourable dental practitioners as well as make a comfortable living from it,” she says. “When they saw how well I related with patients, showed commitment to quality dental work and advice, they asked me to stay on a full-time basis,” she says. “I couldn’t have been happier.” All three partners invested time and effort into helping Brenda to be a great dentist and business owner and she was humbled to receive the baton from Dr John Buckis in September 2006. Over the years, Doctors Steven Mitchell and Eddie Amon have stepped back from their administration and management (and ownership) roles, but continue to work as clinicians who are highly regarded by their patients. There had been many opportunities for the Myers Street Dental Clinic to be sold to and controlled by corporate businesses, however we are proud to continue the tradition of being locally owned and run by family-minded people. Educating and motivating people, especially those who started out in poor dental health and transforming them to individuals who want to make improvements, either through treatment or home care or both. The personal interaction. Catching up with the latest developments in the lives of my patients and their families. Giving hope (of retaining and improving your dentition) when you are initially presented with hopelessness, that is, expecting they would have no options but to give up. FAST FACT: Brenda is a working mum to Solomon and Rafael. With the unwavering support of her husband, Lin, Brenda is thoroughly committed to her family as well as her work. She identifies strongly with the local community in terms of their values, lifestyle and diversity. LET BRENDA LOOK AFTER YOU.